Benjamins Estate Agents are delighted to bring to market this three/four bedroom semi-detached chalet style bungalow. On offer to purchase with no onward chain. 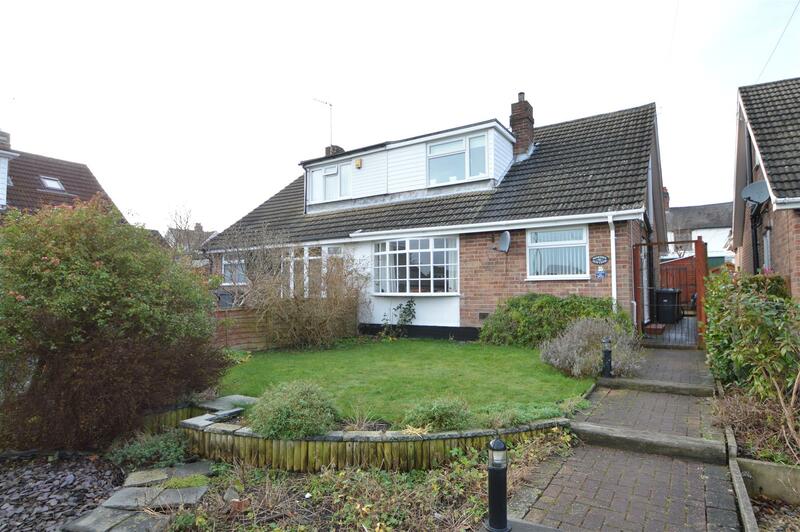 A spacious property situated in the popular South Nottingham village of Keyworth. 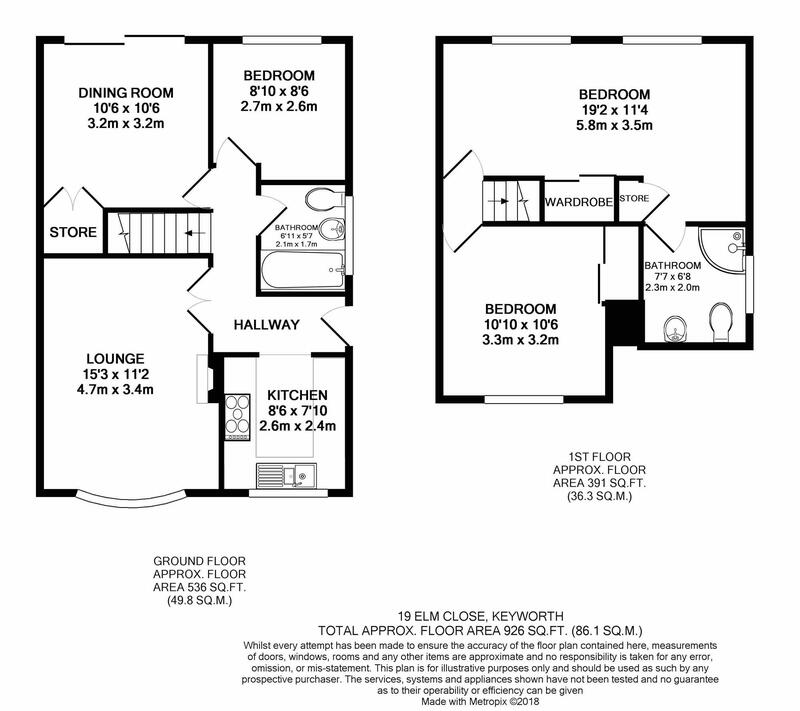 In brief the property comprises, reception hallway, living room, kitchen, family bathroom, three bedrooms, potentially four (one currently used as dining room) including a large master with en-suite shower room. The property benefits from gas central heating, enclosed rear garden, garage on separate piece of land and no chain. UPVC double glazed front door into hallway, radiator, light fitting, Indian limestone tiled flooring. UPVC window to the front aspect, with a range of fitted floor and wall units with working surfaces over incorporating a 1£ white ceramic sink with single drainer and mixer tap, tiled walls, five ring gas hob with extractor above, housing unit with integrated electric oven and space for integrated microwave above, space for undercover fridge, space and plumbing for washing machine and dishwasher, Indian limestone tiled floors, spot lights and under cupboard lighting, archway leading into hallway. Double glazed window to front aspect, gas fire with wood surround and tiled hearth, wall and picture lights, TV point, coving, carpet, radiator, double doors opening into hallway. UPVC double glazed window to the rear aspect, ceiling light fitting, carpet and radiator. Currently being used as a dining room but could be utilised as a forth bedroom with radiator and patio doors opening onto the rear garden. Large storage cupboard, carpet, ceiling light fitting and radiator. Three piece white bathroom suite with electric shower over bath. Fully tiled around the bath and sink area, round wash hand basin with mixer tap, low flush toilet, mirror, light fitting, radiator, Indian limestone tiling to floor and UPVC double glazed window to the side aspect. Two UPVC double glazed window to the front aspect, radiator, TV point, fitted sliding wardrobe, carpet, remote control ceiling spotlights, access to en-suite shower room. Fully tiled corner shower cubicle with electric shower, pedestal wash hand basin, low flush toilet, hand wash basin with storage cupboard underneath, towel rail radiator, light, UPVC double glazed window to the side aspect. UPVC double glazed window to the front aspect, sliding fitted wardrobe, carpet, radiator, light fitting. The front area is designed for low maintenance with gravelled area and side planted beds and small lawn near the front window. A block paved path leads through a wrought iron gate at the side and continues to the entrance door and the rear garden. The rear garden is fenced with lawn and patio area, flower beds and a timber garden shed.